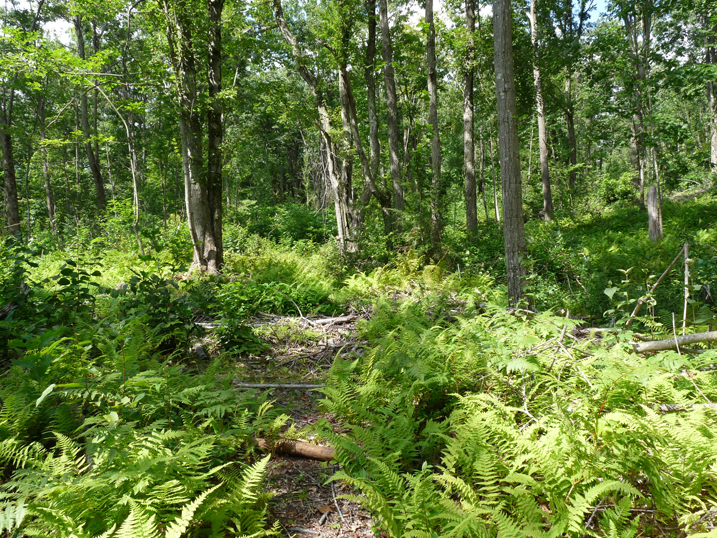 The land trust has recieved an additional gift of an approximately 10-acre parcel, adjacent to the 24-acre Ferrie-Calkins-Deering Woodland. The new parcel will be conducive to both passive and trail-based recreational activities for the public. 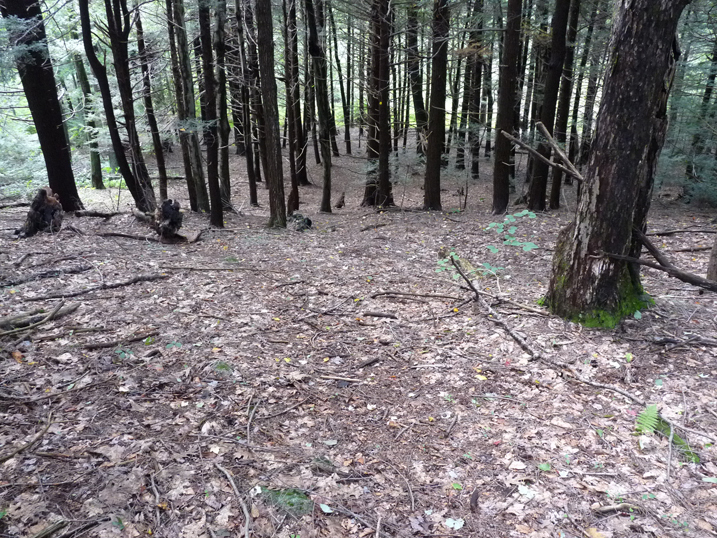 Wildlife photography, drawing & painting, nature studies, bird watching, light hiking, cross-country skiing, and snowshoeing would be very appropriate activities for this parcel, as it is on the adjacent Woodland. The field is level, open and picturesque. It is lovely addition to the Woodland, which currently has no real open habitat. 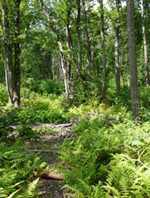 The Woodland is owned by RLC and is protected in perpetuity. A conservation restriction is held by DCR. The 34-acre property was generously donated by Norah Ferrie and her family. 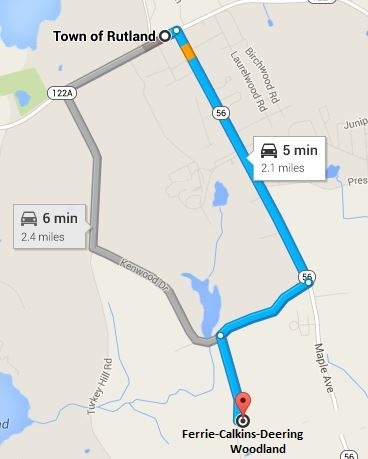 Directions: From Rutland Town Center take Route 56 South 1.2 miles, turn right onto Kenwood Dr. proceed .5 mile, turn left onto Walnut St. continue .4 miles to field entrance on left. Please park on side of road as to not block field access. Walk along the edge of the field on the right to a blue DCR marker then right into a larger field with white farmhouse. The trail contines on your left along the left side of this field until you reach a cornfield. Walk across the field towards another DCR marker on the opposite side. Bear left and follow this field until you see the entrance to the woodland on your right starting at the boardwalk.